State Highway one, north of Amberly at Waipara, (directly opposite the Waipara Hills Winery sign)…. Turn into Georges Rd, just south of the Waipara river bridge. Cross over the railway lines, and go straight ahead approx 500metres. Turn 1st right into Darnley Rd and go straight ahead approx 1km, following the signs to the festival site. 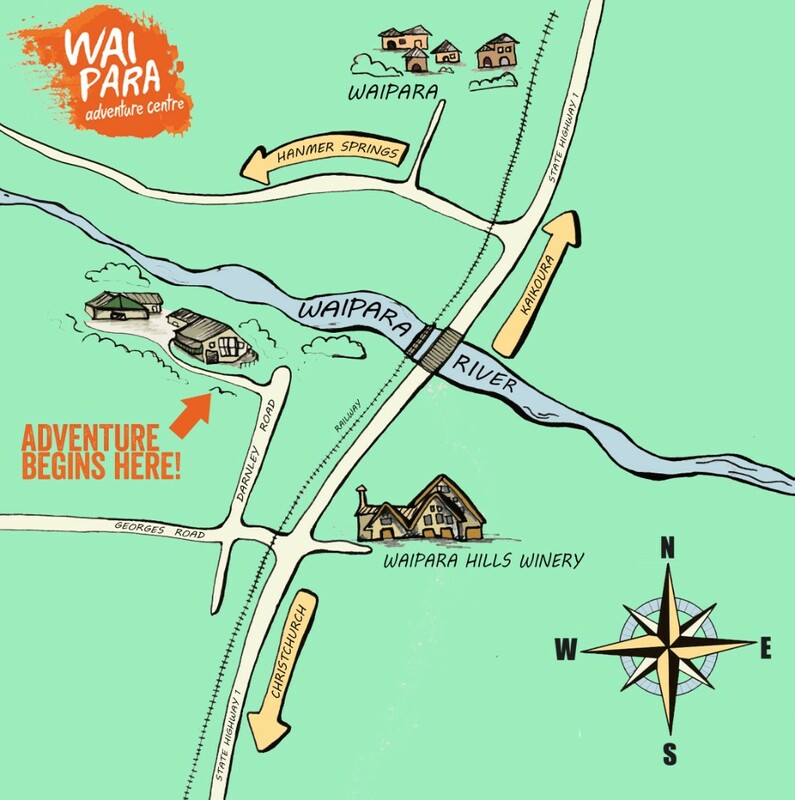 You will see the Waipara Adventure Centre main entrance to your left hand side. Enter the gates, & register for the festival at the registration tent. UPON ARRIVAL.. PLEASE DRIVE SLOWLY AS THERE WILL BE YOUNG CHILDREN ABOUT. PLEASE NOTE: YOU WILL BE CROSSING AN UNCONTROLLED RAILWAY CROSSING. PLEASE TAKE EXTREME CARE.